America’s Most Popular Magazine. Defining celebrity, driving conversation and inspiring action. We’re America’s trusted connection to the people you want to know and the moments that shape their lives.Stay in the know with one of the most widely recognized publications in the world. People magazine has been bringing the best of celebrity and popular culture news within reach since 1974. 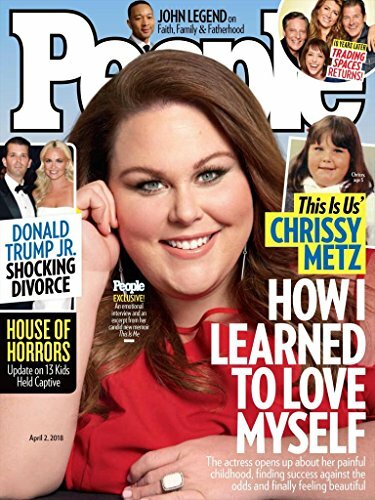 Originally, the aim of Time Inc., People magazine’s parent company, was to provide stories about people instead of issues. That focus remains to this day, on popular actors and everyday people, as the pages of this weekly magazine connect all its readers to the human condition. Over the past thirty-eight years, People magazine has garnered the largest audience of any American magazine, with over forty-six million readers. This publication has mastered a balance between the celebrity news its readers crave and the human-interest stories that speak to the American people. Each edition includes the best photographs of your favorite stars and public figures. This magazine catapulted itself into the spotlight again in 1985 with the introduction of the Sexiest Man Alive. After the popularity of this issue caused sales to skyrocket, People magazine added issues dedicated to the most-intriguing people of the year and the year’s hundred most-beautiful people. These staples are in addition to the popular articles and columns found in every edition of this popular magazine. People magazine will keep you informed on the best in style, human nature, and celebrity news. This magazine is renowned by readers and celebrities alike for its ability to remain above the fray. Now, you can enjoy this publication in the comfort of your home, with a fresh edition delivered to your door every week.